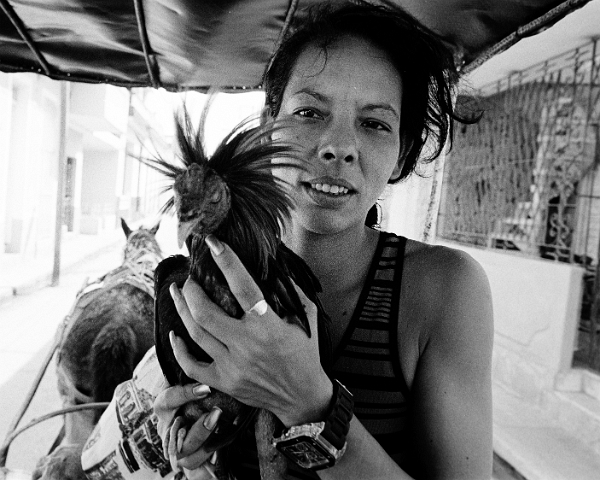 Girl with rooster in wagon, Sancti Spiritus. She was no more than a fellow passenger as I was traveling across town. I have no clue where she was going with her well groomed rooster.